We know the importance of building a strong team. But we also know that there is a lot of advice out there on team building activities that are so lame! It's important for your team to mesh together nicely, but a new season and a new team can be intimidating both for coaches and the team members. To help with transition, we've compiled a list of 9 Team Building Ideas you can implement with your new team this fall! 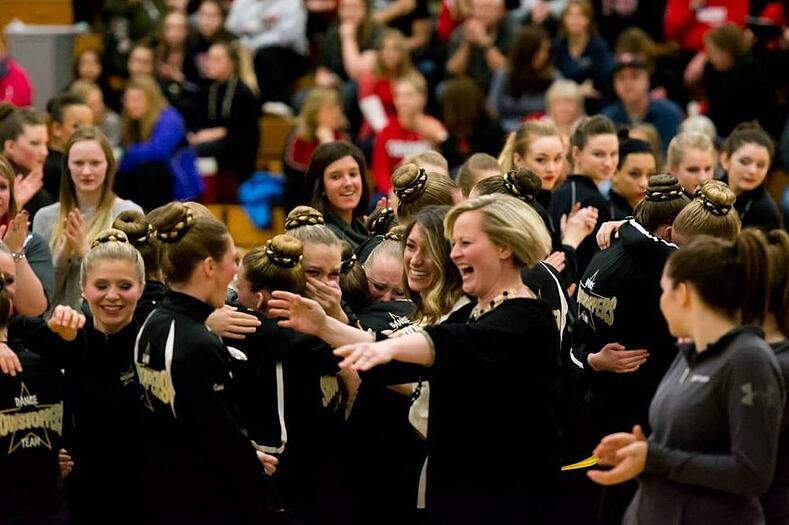 Coach Stephanie Kutter and the Hutchinson Showstoppers Dance Team celebrating at a competition. We've asked some of our coaching friends to share their unique insights with you for this new series: EXPERT COACHING TIPS. In case you missed it, last time we talked about planning for the upcoming season! This week, we're talking about most important lessons learned. From working with parents to finding a balance of support and discipline... the coaches we talked to have a lot of experience in what works and what doesn't. See what these expert dance team coaches had to share! The best part of our jobs is working with extremely talented dance, skate and cheer coaches. They play an integral role in supporting the team - through motivation, encouragement, and wisdom. We know that coaching can be a challenging yet very rewarding job! We've asked some of our coaching friends to share their unique insights with you for this new series: EXPERT COACHING TIPS. This week, we're talking about practice. See what some of these expert dance team coaches had to say, below!